Voodoo Verbena is the biggest, bushiest, largest-flowered Verbena available. Voodoo Verbenas beautiful blooms form big clusters on top of lush, green mounding foliage. 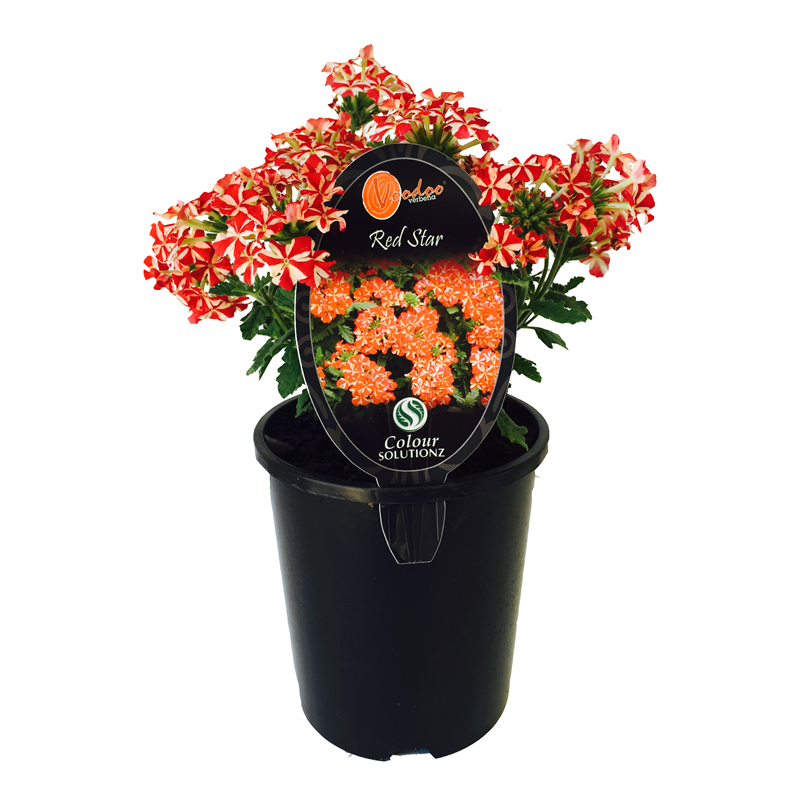 Voodoo Red Star has large clusters of vivid red flowers accented with creamy white stripes. 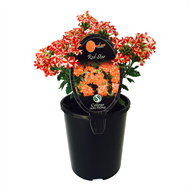 A floriferous and long flowerer, Voodoo Verbena is exceptionally humidity and heat tolerant and is perfect for borders, beds, mass planting, hanging baskets and containers.